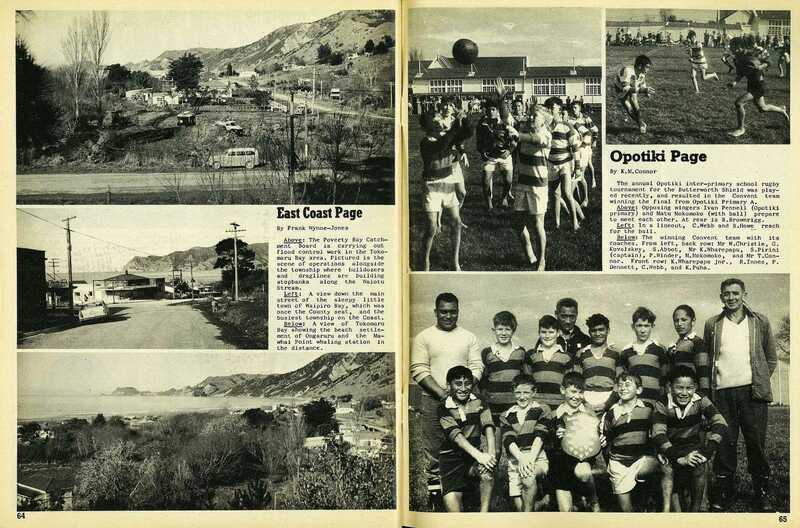 The annual Opotiki inter-primary school rugby tournament for the Butterworth Shield was played recently, and resulted in the Convent team winning the final from Opotiki Primary A. 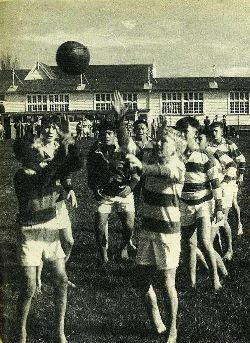 In a lineout, C. Webb and B. Howe reach for the ball. 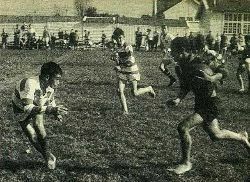 Opposing wingers Ivan Pennell (Opotiki primary) and Matu Mokomoko (with ball) prepare to meet each other. At rear is B. Brownrigg. The winning Convent team with its coaches. 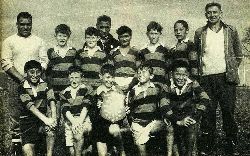 From left, back row: Mr W. Christie, G. Kovalskey, S. Abbot, Mr K. Wharepapu, S. Pirini (captain), P. Winder, M. Mokomoko, and Mr T. Connor. 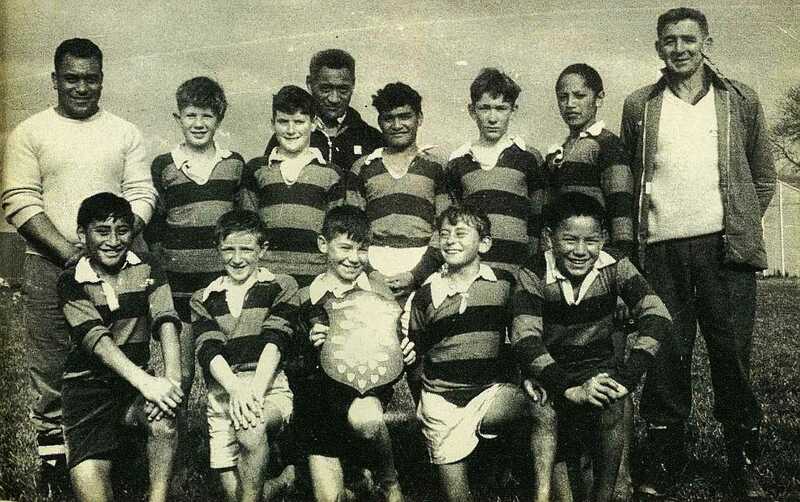 Front row: K. Wharepapa jnr., R. Innes, P. Dennett, C. Webb, and K. Puha.